IT IS two o'clock on a Wednesday morning and I’m enjoying a bowl of French onion soup at La Poule au Pot in the Les Halles quarter of Paris. What may seem to be an unreasonable hour to be out dining on a weekday is, in fact, the perfect time to get to know one of the most venerable traditional bistros and one of the most esteemed bistro-owners in the capital. To eat late is easy in Paris. It is just as easy to eat well. But to eat late and well is rare. Furthermore, not only does my soupe gratinée contain all the basic French food groups (onions, cheese, bread, chicken bouillon and white wine) but a good deal of history, too. 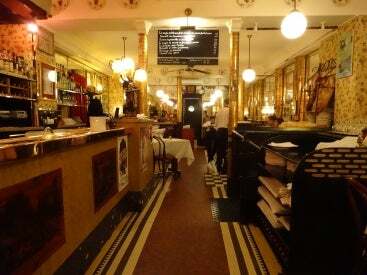 The history of the old central food market, dubbed ‘the belly of Paris’ by Emile Zola, is here. So is the history of this restaurant, where the décor has not changed much since its creation in 1935. And while classic French songs of the 1950s play softly in the background, I enjoy fashion, film and pop music since the 1970s as well. 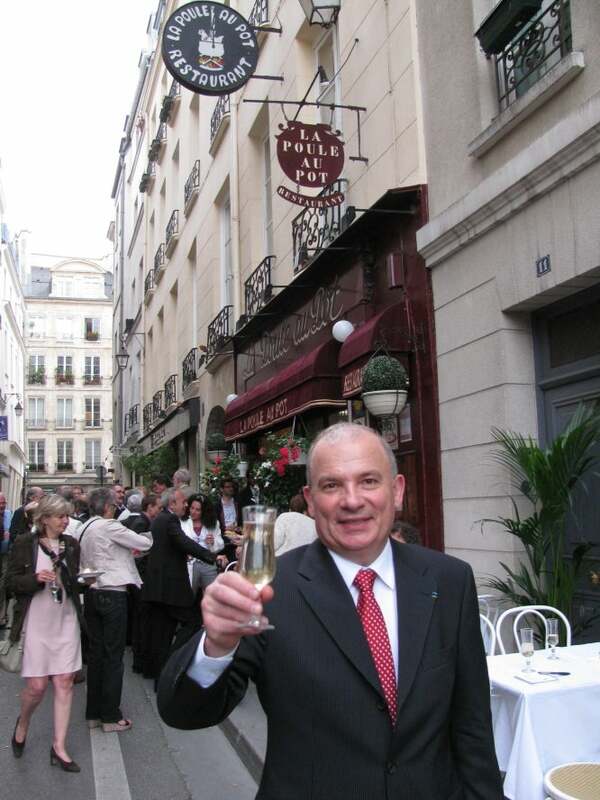 I am sitting with Paul Racat, who has owned La Poule au Pot since 1974. As the waiter clears away our empty bowls, Mr Racat brings out the guest books containing the signatures, comments and drawings of some of the hundreds of familiar names and faces that have come here: musicians, actors, comedians, designers, models, architects, chefs and others that Racat collectively refers to as “the artists”.